You have a serger and perhaps a cover-stitch machine. Now what? Join Candace each month to learn tips and techniques for using your serger to make basic knit garments. We will select a different garment each month and utilize time saving techniques to make serging easy and fun. This class is designed for the beginning serger but everyone is welcome to come join in this fun social serging class. This month it’s all about bottoms for your spring and summer wardrobe. Choose either a skirt, pants or shorts to make in class. Each one has a yoga-style waist band, no elastic options and they are quick and easy to make. You'll need approximately 2-1/3 to 2-1/2 yards of fabric depending on choices. Check pattern for exact yardage. Fabric Types include: Knits with 50% stretch are perfect. These include ITY for flowy, cool options. Rayon blends are cool and lightweight. Modal, Bamboo can also be used. Warmer options are Double Brushed Poly, Merino Wool Knit, Stretch Velvet (velour) and Poly Jersey. For waistbands, Ponte works well as you need some structure and support. 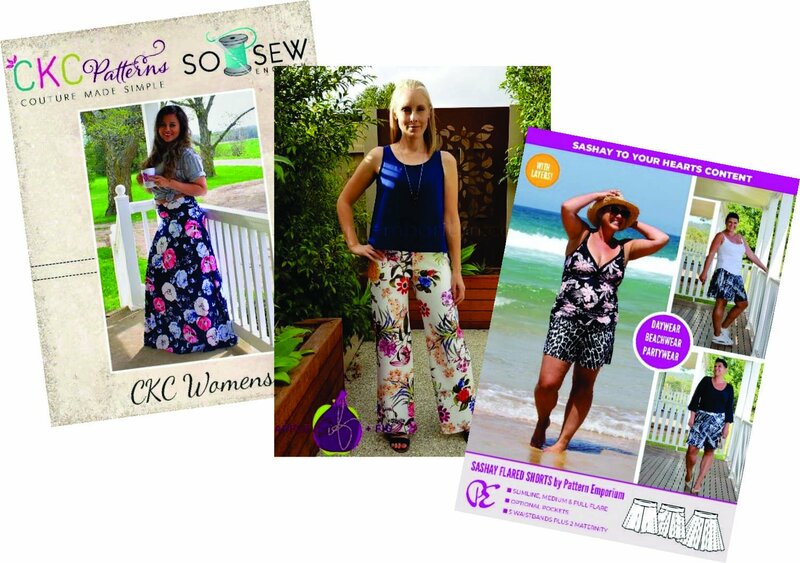 Pattern Emporium is an Australian company so set the price option to USD. Pattern printed and taped together. There will not be time to do this in class. 4 spools of serger thread to complement your fabric choice. Threads do not have to be the same colors but should complement your fabric. Cover Stitch Machine for hemming bottom with 2 spools of serger thread that complement the fabric. Clover Clips recommended instead of pins. SewKeys E double sided fusible tape (green package) ½ inch to fuse hems in place before cover-stitching.